Italy, the country of fast cars and tasty food – arguably one of the most beautiful cities in the world, and of course, there’s the beautiful Italian language. It’s not that we don’t appreciate fast cars and old cities, but the language is what made us hop on a plane and visit this ancient, boot-shaped land in southern Europe to do Italian speech data collection for our client. 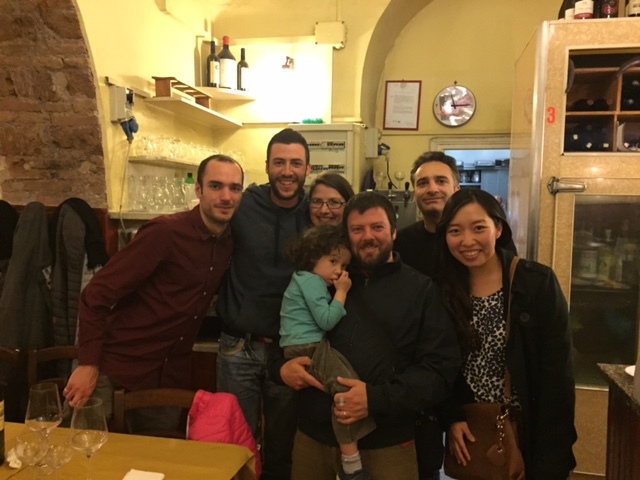 We went to Italy to collect Italian speech data for smart sports glasses that are being developed by our client. During this project, we had native Italian speakers run with glasses that recorded their speech, in addition to environmental sounds like waves from the beach, construction sites, train and plane noises. All these elements could be found in and around Rome, so we decided to put up camp there. Normally when we are on the road we tend to do these kinds of projects from a coffee shop. In North America, it’s normal to work at a coffee shop, inviting friends or colleagues to join and hanging out there all day. Since we couldn’t fit our office on an airplane, coffee shops are a great alternative to an office when we’re abroad, while making sure we get enough coffee into our systems in the process. 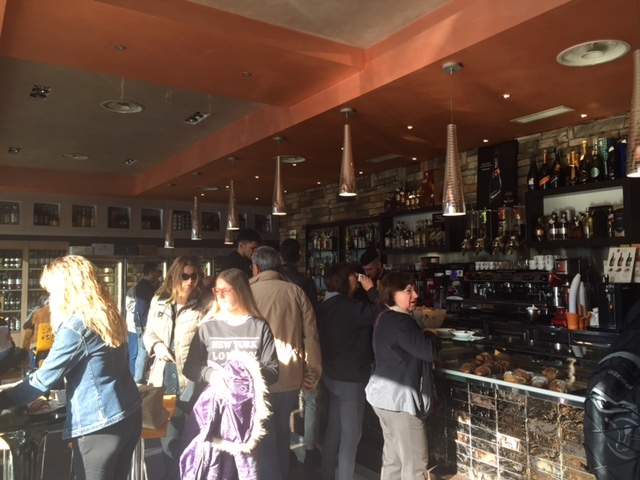 The coffee culture in Italy is slightly different to what we are used to, though. The coffee is absolutely mind blowing, so that’s not the issue. It’s just that some rules have to be followed if you want Italians to keep taking you seriously. The rituals that come with drinking coffee in Italy are a huge part of everyday life. A cappuccino with breakfast, latte macchiato in the morning, and the rest of the day you fuel up on espresso (simply called ‘un caffè’ in Italy). Mix these up and you have a hard time explaining yourself to the locals and especially the barista. There is a great read on The Telegraph that guides you through the whole process. Most Italians drink their coffee standing up, and when it comes to ‘caffè’, they down it in one shot. You can imagine their reaction when we started unpacking our laptops and other tech goodies to set up our office for the day – we got some odd looks. We love travelling the world in search of unique and high quality data. Check out our Chengdu, China speech data collection adventures as well. Fortunately, we have been working with a great vendor in Italy for a while and they provided us with two fantastic project assistants. They helped us communicate with the participants and other Romans in clear (and passionate) Italian. After some explaining and polite asking, the friendly Italian coffee shop (or should we say café) owners were more than happy to provide us with a spot to do our jobs and invite people for running sessions at their place. Apart from getting us up to speed with the Italian coffee culture, our assistants also helped us get around the city. Traffic in Rome is something that shouldn’t be underestimated, and it was great to be accompanied by people who are used to riding a bike in this bustling and extremely busy city. Especially when people are running through a city like Rome wearing speech enabled glasses, we want to make sure everything goes smooth and safely. Our new Italian friends made sure we had nothing to worry about and guided us through the eternal city without breaking a sweat. 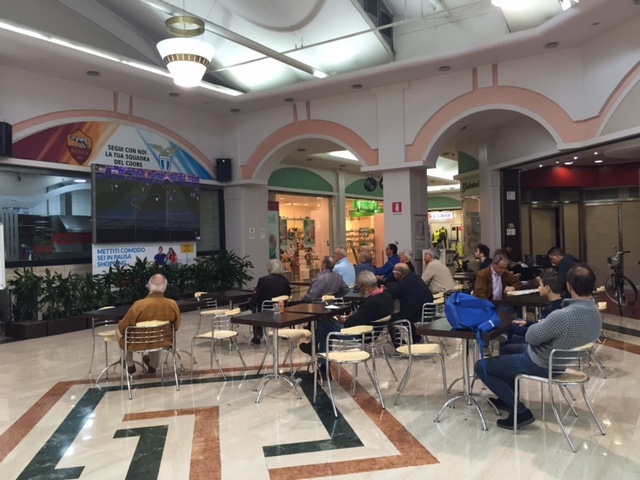 We had a blast doing speech data collection in Rome, meeting with Italian runners & cyclists, hanging around in Roman coffee shops, and watching soccer matches in the shopping mall together with the locals. We collected all the data we needed over the course of 2 weeks and learned a thing or two about Italians and Italian culture. Keep an eye on this website to learn how this amazing project continues over the coming months. If you want to learn more about this topic, check out this article on how speech recognition technology works and how to develop data collection methods. Globalme Thursday Social: June, 2016Get ready for a great night at the beach with Volleyball, Soccer and Burgers at Sunset Beach!